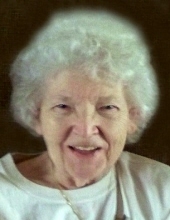 Hattie Lee Clingerman Arbogast, 86, a resident of Elkins, went to be with her Lord Friday, January 25, 2019, at Davis Medical Center surrounded by her family. Hattie was born Monday, October 17, 1932, in Elkins, a daughter of the late Albert ‘Abe’ Garfield Clingerman and Helen Carver Clingerman. Hattie was raised by her grandparents, George and Christine Carver along with Catherine and Jack Harlan. She was married for fifty-four years to Rev. Lawrence William Arbogast who preceded her in death on April 18, 2006. Left to cherish Hattie’s memory are two daughters, Brenda Wilfong and husband Allen of Montrose and Barb Arbogast of Oceana, one son, Larry Arbogast and wife Delores of Bristol, TN, one brother, John Clingerman and wife, Lois of Elkins, two sisters, Jean Barr and husband, Richard of Daytona Beach, FL and Joan Peterson and husband, Richard of McLean, VA, one grandson, Patrick Wilfong and wife, Shannon of Montrose; three granddaughters, Allison O’Brien and husband, P.J. of Valley Bend, Nikki Lester and husband, Joshua of Norfolk, VA and Holly Trent and husband, Steven of Alderson, fourteen great-grandchildren, Kameron, Konnor, Kahne, Charley Rae-Ann, Cloe, Kinlee, Kasey, Cailynn, Caleb, Maddie, Aiden, Annaleigh, and Audrey, several nieces and nephews, and her faithful and constant companion pet, Lyndsay. Besides her husband and parents, Hattie was preceded in death by one grandson, Larry Arbogast Jr. and one great-grandson, Jack Wilfong. Hattie was a graduate of Elkins High School with the class of 1952. She began working as a waitress at City Restaurant. Throughout the years, she was a homemaker and served faithfully alongside her husband in ministry. A devoted wife, mother, grandmother and great grandmother, she will be greatly missed and will be cherished and live on in our hearts forever. Visitation will be held at the Randolph Funeral Home Tuesday, January 29, 2019, from Noon until 2 PM, the funeral hour. Rev. Eli Hostetler will officiate and interment will follow at the American Legion’s Little Arlington Cemetery. To send flowers or a remembrance gift to the family of Hattie Lee Clingerman Arbogast, please visit our Tribute Store. "Email Address" would like to share the life celebration of Hattie Lee Clingerman Arbogast. Click on the "link" to go to share a favorite memory or leave a condolence message for the family.